The nominating committee of the Screen Actors Guild Awards has chosen its best performers of film and television, and now it’s time for members to vote! Take our word for it: Picking a favorite is difficult in a year of such strong individual performances. Here’s your official cheat sheet to the SAG nominees and what makes each worthy of taking home a statue this year. Borstein’s Emmy-winning Susie feels like a character we’ve never seen on TV. The contrast between the colorful uptown world of the Maisels and Weissmans and Susie’s dark, smoky downtown scene make for the perfect comedic setups, out of which Borstein makes full meals while walking the line between tough and vulnerable. Fans of the multitalented Brie knew her performance as a struggling actor-turned-wrestler in 1980s Hollywood would be unmissable; no one could have predicted, however, that her alternately frazzled, fabulous, and hilarious Ruth (aka Zoya the Destroya) would exhibit such intelligence and depth, especially in the expansive Season 2 of this Netflix hit. We never stop rooting for Midge Maisel, and the Emmy-winning Brosnahan’s modern portrayal of this midcentury housewife and burgeoning standup comedian is much of the reason why. She began stealing the show from her first moment delivering Amy Sherman-Palladino’s rapid-fire dialogue and has been guiding us through heartbreak, despair, triumph, and side-splitting laughter ever since. A master at everything from acting to exercising, Fonda continues to show off her skills in Season 4 of “Grace and Frankie.” Portraying a woman coming to terms with her age, lucidity, and wellness is never easy, but Fonda delivers her dry humor with poise and dignity, proving time and time again that this actor has still got it. No one can deliver a punch line quite like Tomlin. Season after season on this Netflix buddy comedy, the legendary performer continues to delight as a woman with a tenuous grasp on her sanity and social standing. Feeling blue? Tune in to any scene featuring Tomlin on “Grace and Frankie” and you’ll laugh. What makes Arkin a particularly remarkable presence on the screen is his ability to undermine his funnily sheepish demeanor with moments of heartfelt humility. Case in point: this new Netflix comedy from Chuck Lorre. In the moments Arkin’s Norman Newlander is making us laugh, that’s when he’s most able to make us cry. Hollywood acting coach Sandy Kominsky has seen better days. Douglas, however, may be giving one of his best performances ever. He manages to demonstrate funny or touching chemistry with every one of his scene partners, including Sarah Baker, Nancy Travis, and the many actors playing Sandy’s students. And opposite Arkin, of course, Douglas creates a kind of onscreen magic. Barry Berkman, a veteran-turned-hitman who, in the midst of PTSD and depression, gets bit by the acting bug, is a career-best role for the Emmy-winning Hader. This HBO comedy allows the actor to use his comedic experience sparingly when a dash of relief is needed. Otherwise, it’s one of the most nuanced dramatic performances of the season. Barry is haunted by demons and a yearning to express himself, deadly serious territory amid circumstances (the Chechen mob, a dubious L.A. acting class, bumbling cops on his tail) that remain delightfully absurd. The similarities between Shalhoub’s Abe Weissman and Brosnahan’s portrayal of his equally neurotic daughter are uncanny at times. Shalhoub gets some of the biggest laughs when Abe attempts to regain what he perceives as a loss of control of his regimented life—or when he’s determinedly stretching, by a lake in the Catskills, in the most absurdly perfect romper. Gene Cousineau may, unfortunately, be a familiar figure to working actors: Just short of a scammer, he’s an acting teacher with a cult following and a performer with no notable success of his own. The great Winkler (finally a Primetime Emmy winner!) lends his hilariously hangdog expressions to the borderline exploitative schmuck who counsels, criticizes, and encourages his disciples, fanning the flames of their optimism while reeking of desperation himself. 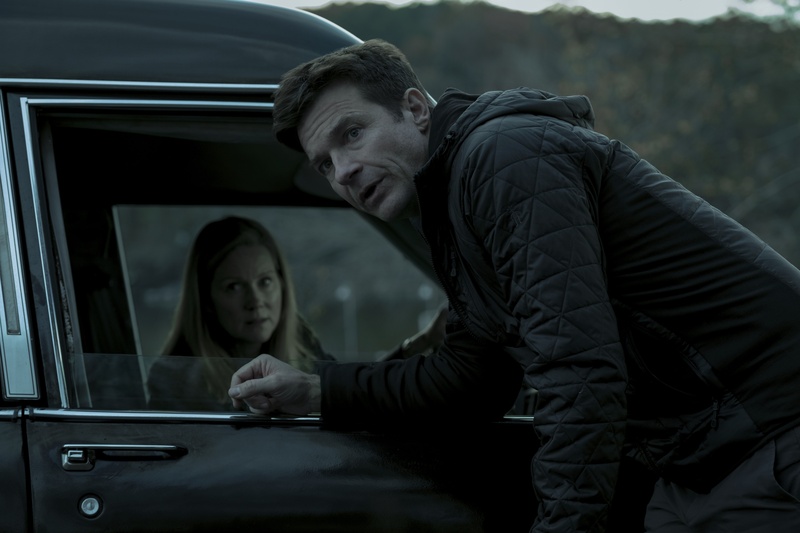 Season 2 of Netflix’s “Ozark” found ample opportunity to explore its female characters in particular, giving an actor of Garner’s increasingly apparent skill level the juicy material she deserves. Her Ruth Langmore is a survivor, prone to making dangerously criminal decisions, but there are always rational reasons behind them—even if Garner makes us guess what they are. Wendy Byrde is a dissatisfied suburban housewife—until she’s an on-the-run, money-laundering mastermind. In this ever-darker drama, Linney excels at touring you through everything on Wendy’s map: messiness, vulnerability, true kickassery. Count on Linney to ground wild twists and turns with her shrewd yet fascinating style. Peering out from between the bone-white wings of her handmaid’s bonnet, Moss takes on the role of a lifetime, navigating the despair of an oppressive dystopian world with dignity and a wickedly dark sense of humor. Last year’s Emmy-winning producer-actor is at her most subtle when the stakes are highest, and watching her handle the pitfalls served up by the distressingly tangible Gilead is revelatory. Oh’s critically hailed return to TV reminds us, through an honest, human portrayal of another brilliant woman committed to her work, why she’s so compelling to watch. We follow Eve’s ascent from disillusioned government employee to insatiable MI6 agent on the hunt, while her complicated relationship with Jodie Comer’s Villanelle proves that these cat-and-mouse stories can be anything but predictable. Oh’s performance makes us want to savor each suspenseful moment. 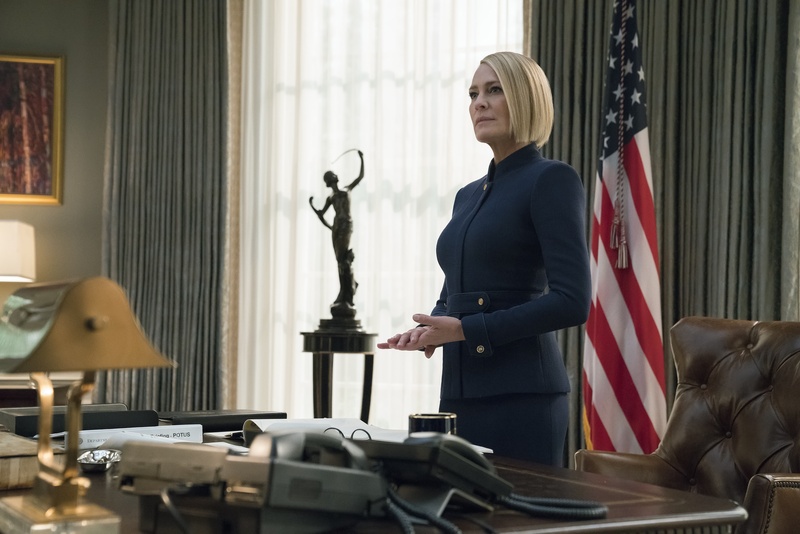 While Netflix’s “House of Cards” first landed on the map as a story of the scheming politician Frank Underwood, its final season focused squarely on Claire. Wright’s ability to project a steely exterior—or collapse under its weight—has been put to the test again and again. With an unstoppable performance, Wright has shown us what it means to be an unstoppable woman. It may have taken Bateman most of his acting career to prove he can play (and direct) drama as well as he can do comedy, but his performance as Marty Byrde, a cuckolded financial adviser whose idyllic life becomes a money-laundering nightmare, was worth the wait. That classic Bateman dryness provides the perfect foil for the unsettling world of “Ozark,” where middle-class banality becomes menace. You can’t look away from a performer like Brown, who can seemingly do no wrong. Playing the multifaceted Randall Pearson means the Emmy winner gets to preach the truth, have mental breakdowns, and occasionally throw out solid one-liners that reveal his superb comedic timing. He’s created one of the most enthralling characters in TV drama. Everybody loves a villain—or loves to hate one. And in Hulu’s sophomore outing of “Handmaid’s,” Fiennes’ putrid Commander Waterford is easy to despise. By season’s end, in fact, when at long last his handmaid meets his scornful gaze with the full force of her open palm, the satisfaction for those watching at home is so delicious, it has to be fattening. 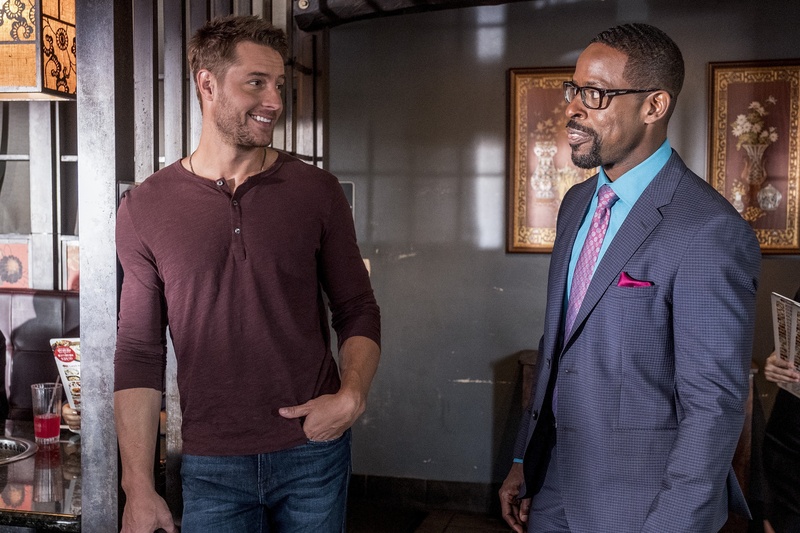 Krasinski’s take on Tom Clancy’s ever-popular CIA analyst deserves attention because of its unexpected “everyman” vibe; this is a bad-guy-fighting hero audiences can actually relate to. Rather than giving him invincibility or certainty, Krasinski’s nerdier Jack is often longing for the security of his desk job or scared out of his wits. LISTEN: John Krasinski on Backstage’s “In the Envelope” Podcast! As this riveting spinoff delves deeper into the thorny morality of ambition and survival, Odenkirk continues to show us streaks of the “Bad” habits that built his character’s rascally reputation. While we know where all this is going, even with the knowledge of that final meth-charged outcome in the back of our minds, Odenkirk is giving an increasingly refined performance, adding new layers to the dodgy lawyer’s present tense. In this magnetic, horrific, phenomenal HBO limited series, Adams continues a curious trend: movie stars who come to TV and give perhaps the best performances of their careers. Watching her scarred reporter Camille return to her hometown to investigate two mysterious deaths, swigging vodka and blearily glaring about while deteriorating into an emotional (and, of course, physical) masochism that cuts deep, it doesn’t feel sacrilegious to call this Adams’ best-ever work. “I didn’t do anything wrong. I mean, not really wrong.” Thus Tilly Mitchell reveals her inner reasoning for aiding convicted murderers Richard Matt (Benicio Del Toro) and David Sweat (Paul Dano) in their infamous upstate New York prison break in 2015. As played by Arquette in the schlubbiest of getups, emitting a whine that borders on camp, Tilly makes her questionable decisions with various, and fascinating, levels of shame. Delicate and dangerous. 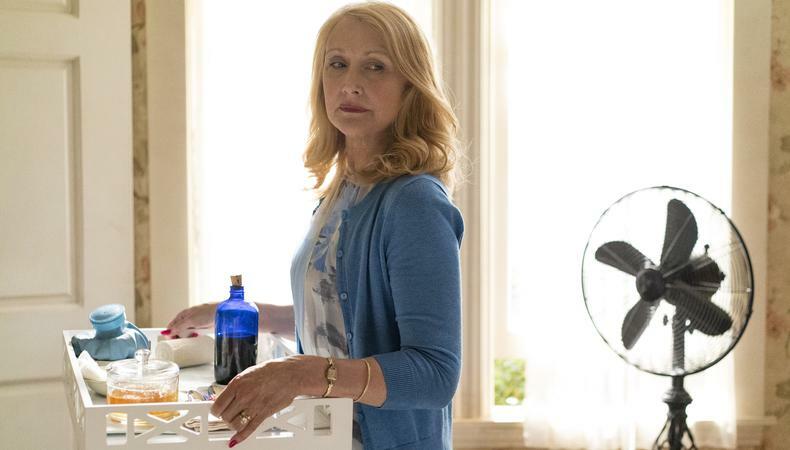 No performance in recent memory has so thoroughly captured the intersection between those two qualities, or so completely reinvented the Southern grande dame, as Clarkson’s in this Marti Noxon–created, Jean-Marc Vallée–directed series. As Adora Crellin, who smothers her daughters in love and pain, her every careful mannerism evokes the likes of Bette Davis and Tallulah Bankhead—although Clarkson clearly belongs in a class of her own. Entrances don’t get more fabulous than the one Cruz’s Donatella Versace makes in this show’s first episode. Clad in black, emerging from a private jet, and projecting an icy grimness that feels distinctly Italian, the legendary designer strolls into the aftermath of her brother’s assassination and Cruz proceeds to steal the show. The actor proved again why she’s an icon on camera—is it too much to hope she comes back to TV? An actor may be tempted to play up the wackiness, given the premise of Cary Fukunaga’s Netflix miniseries: a pharmaceutical drug trial sends two patients into a dreamscape full of increasingly outlandish and outrageous scenarios. But Stone lends a surprising seriousness to the proceedings, painting this nuanced portrait of Annie, a guilt-ridden woman who, mentally speaking, can’t stop picking at her scabs. She never lets us forget that she’s suffering. More than just an extravagant comb-over is Banderas’ take on Pablo Picasso, the Spanish artist and lothario whose reputation was begging for a miniseries adaptation like this National Geographic hit. The actor has fun with the artist’s stylish eccentricities, but excels most in the moments in front of the easel, making us believe he’s really about to create from scratch some of the world’s most groundbreaking works of art. 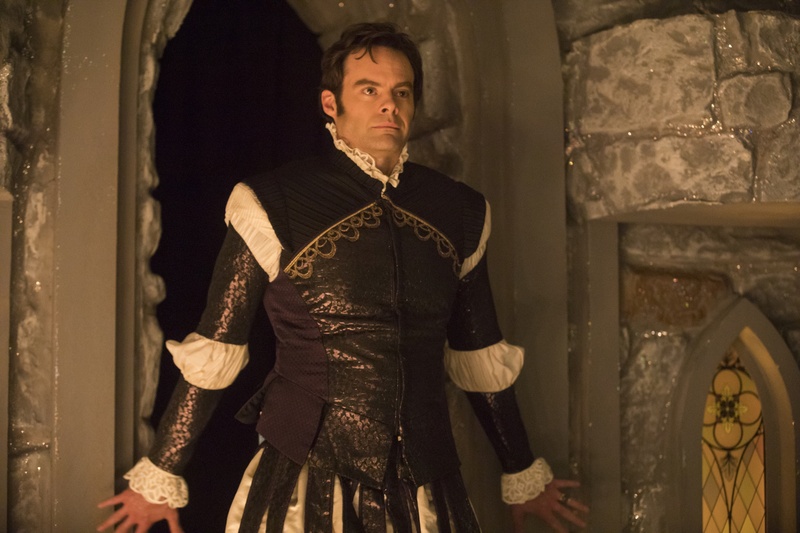 Together with creator Ryan Murphy, the Emmy-winning Criss created one of the most complex, compelling gay characters ever on TV in the second outing of “American Crime Story.” This season zeroed in not on Versace, but on his killer, Andrew Cunanan: a sociopathic monster, yes, but one born of an internalized homophobia that we, as an audience watching his intricate devolution, are tempted to blame on the world around him. Grant’s customary charm is shadowed, ever so slightly, by something menacing in Russell T. Davies and Stephen Frears’ adaptation of John Preston’s book about Jeremy Thorpe. The parliamentary leader (played by Grant) will stop at nothing to silence the threats of his former lover (Ben Whishaw), all while maintaining a sunny, charismatic, distinctly English veneer. Any chance to watch Hopkins flex his actorly muscles is a must-watch moment, but even knowing his history of classical and Shakespearean performances, nothing quite prepares you for this “King Lear.” Grand yet intimate, vengeful yet loving, towering with rage then ultimately asking us to empathize with this doddering fool of a king, the master’s Lear may be considered one of his very best efforts. In the second outing of USA’s deliciously dark thriller, Det. Harry Ambrose finds himself once again seeking justice for a murder and on the hunt for the killer’s motive rather than the killer. Pullman took his weary, wary detective to more emotionally intimate places this season, allowing us to discover twists and turns through his eyes while also implicating himself dangerously into the mystery.